Our top quality deep seating combines the hardiness and durability of teak with thick cushions in a variety of weather resistant outdoor fabrics. Bring the comfort of your living room into the great outdoors with a deep seating set. 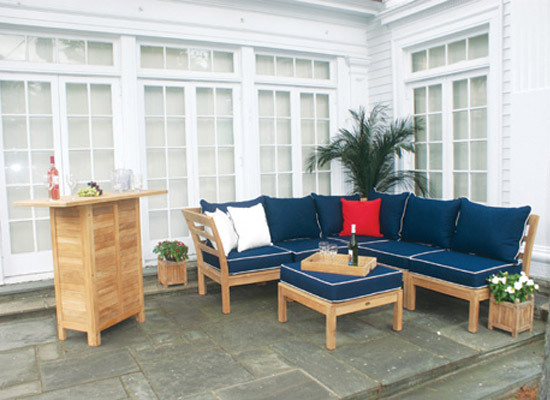 We also carry resin wicker and aluminum outdoor furniture sets.